labels for pet products Archives - ThirtySevenWest ThirtySevenWest - Creative ideas about personalized custom ribbons, woven tags and labels, personalized gifts and more!!! Do you absolutely adore dressing your dog up in clothes? We do. While recently pricing some pet clothes online, we discovered a few websites that offer simple and cost effective ways to make your own. 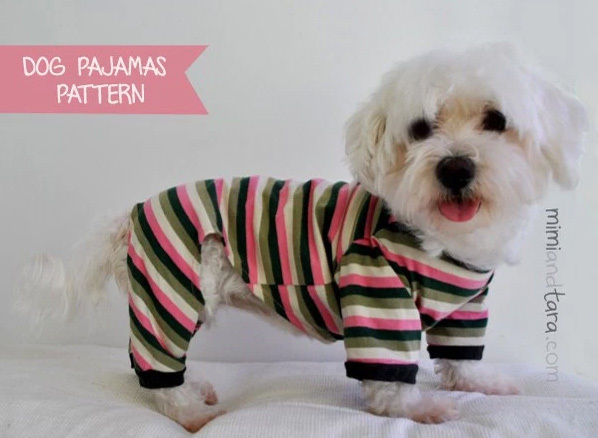 Check out these step by step directions and free pattern, here, by Mimi and Tara, on how to make your dog a fantastic pair of pajamas!